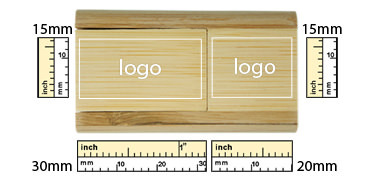 Take a classic approach with the Natural Wood USB Presentation Box! 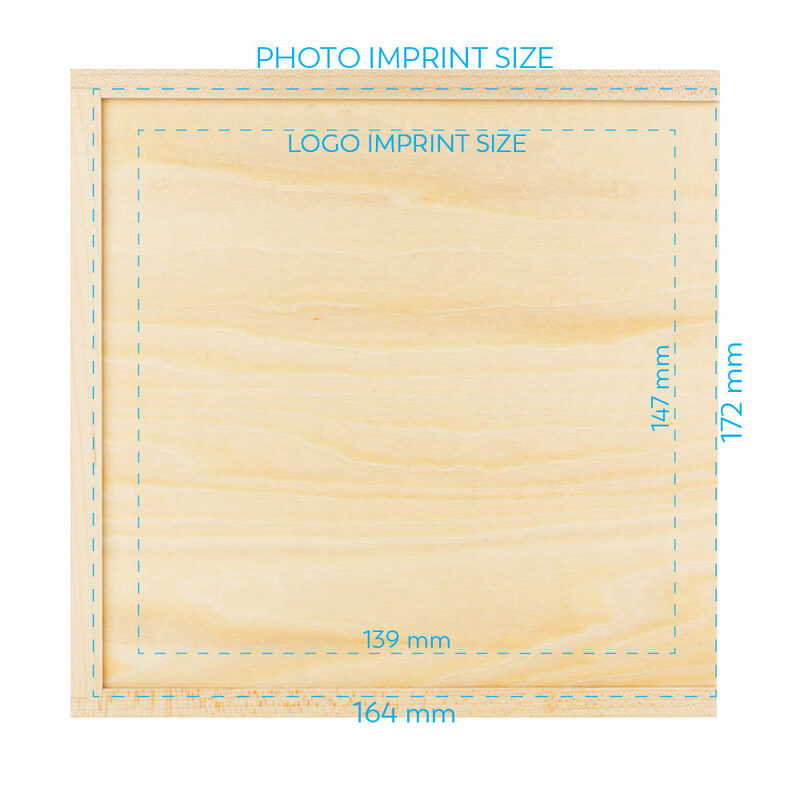 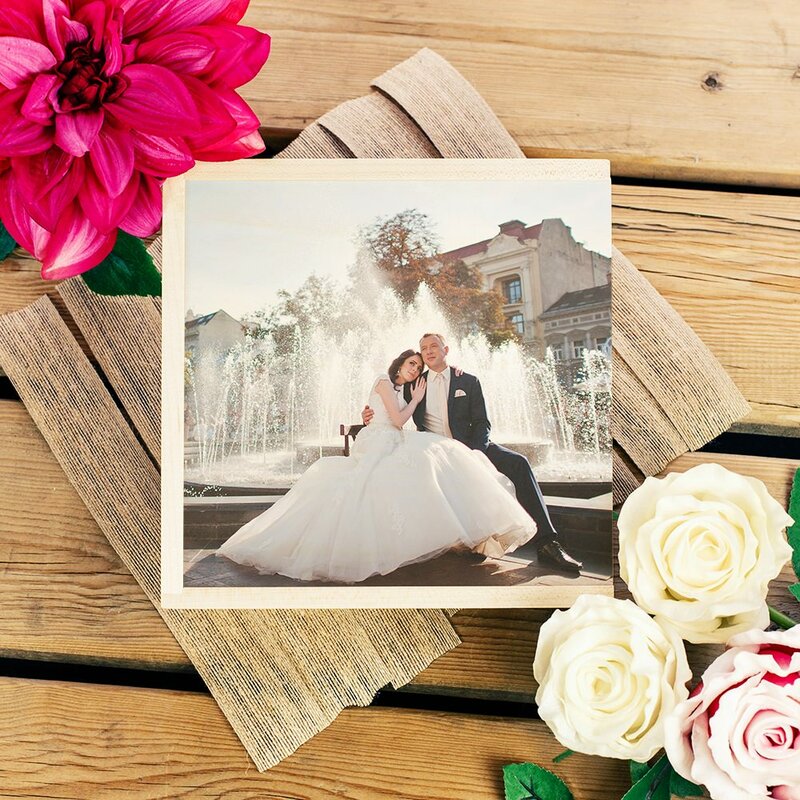 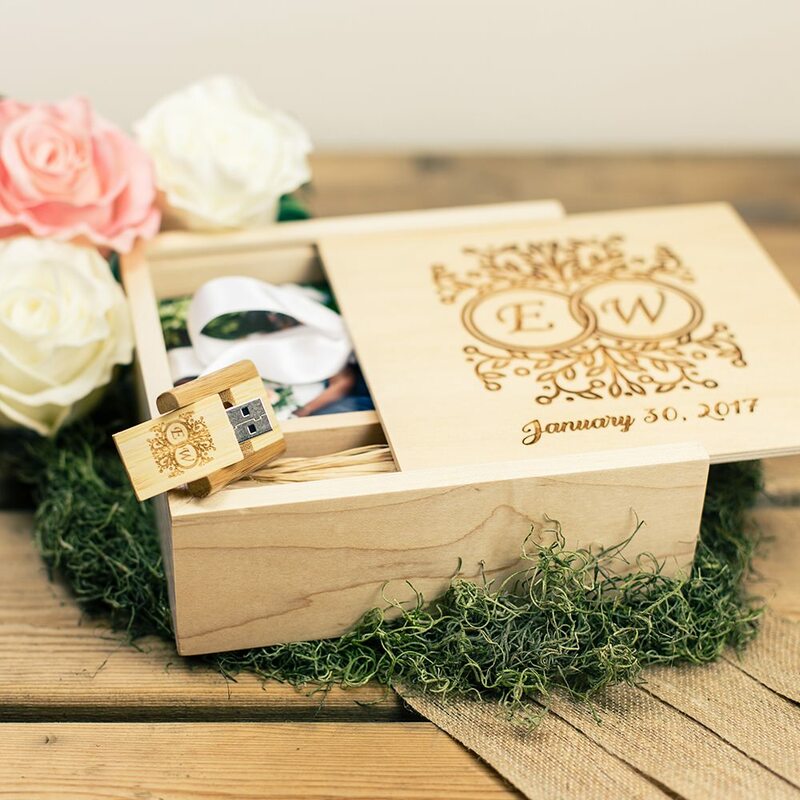 Each custom wooden USB box 4" x 6" box holds up to 150 photos and includes a compartment for the matching wooden USB Drive. 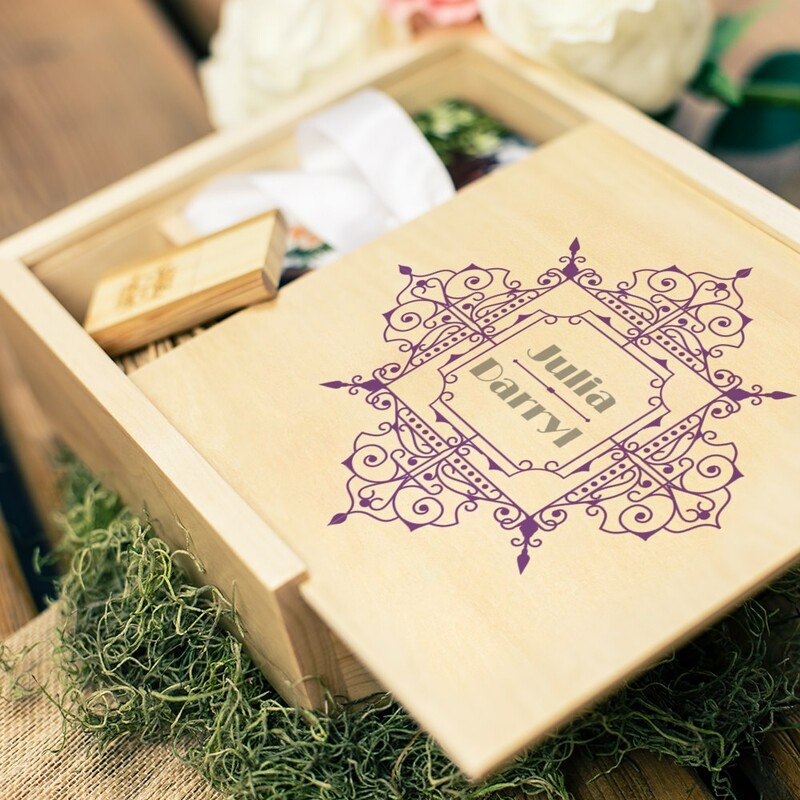 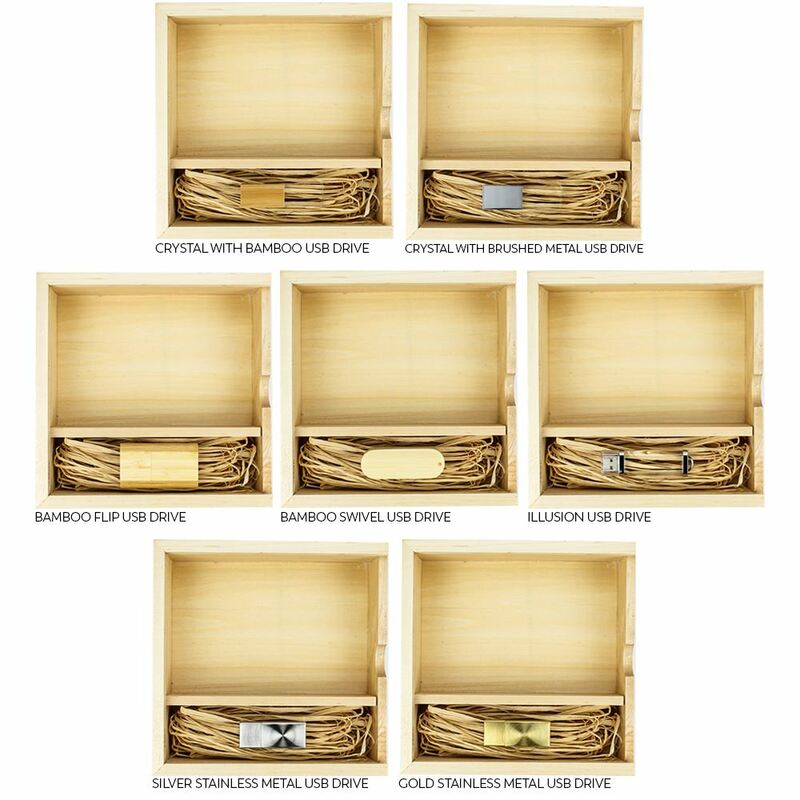 Each Box features a slide-out lid that can be embellished in 4-color print or laser engraved with your unique artwork. 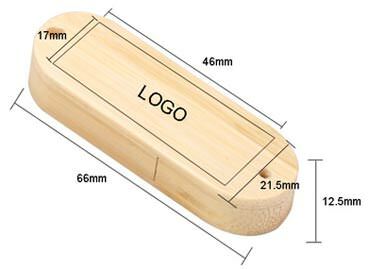 Included with the box is your choice of printed or engraved USB Drive. 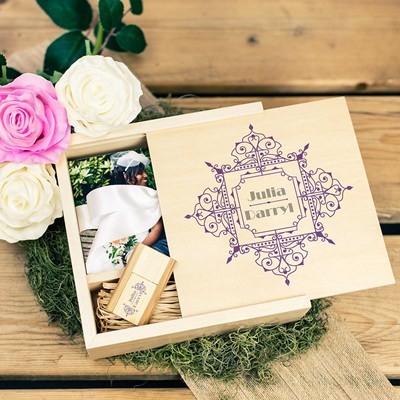 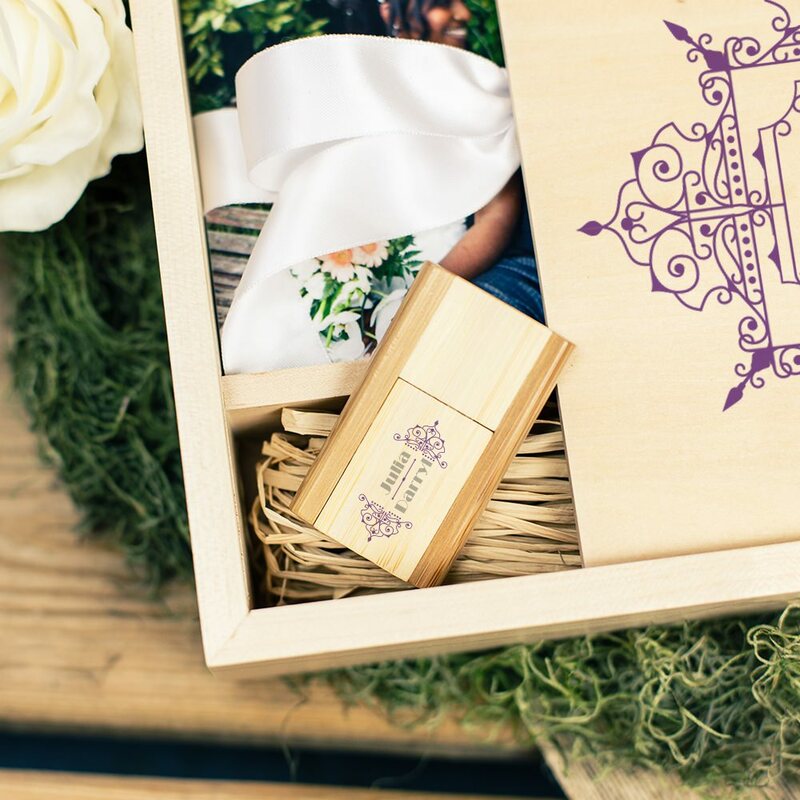 Show your clients some extra love with the beautiful gift Box and USB combo!